User-friendly portable lifts provide powerful lifting when moving or positioning loads. Ideal for commercial or industrial work. Economical and attractive. 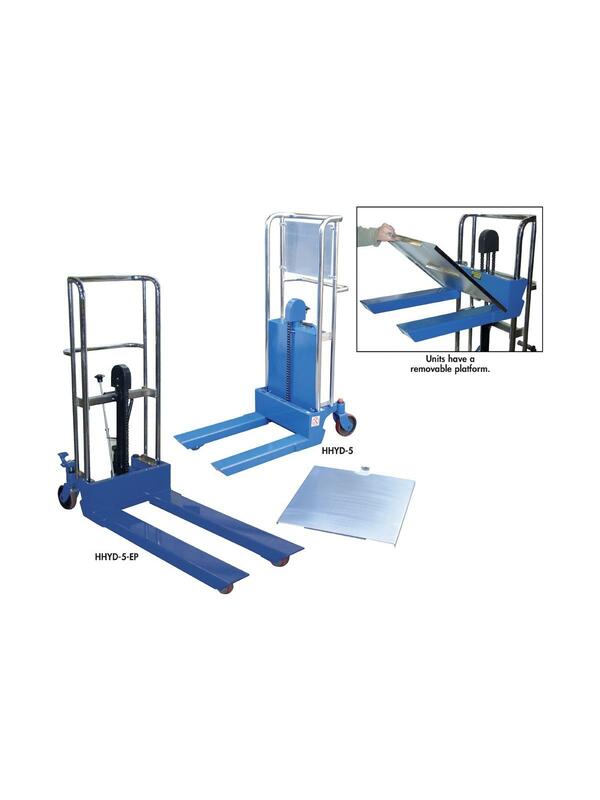 Features removable chrome platform for operations requiring forks. 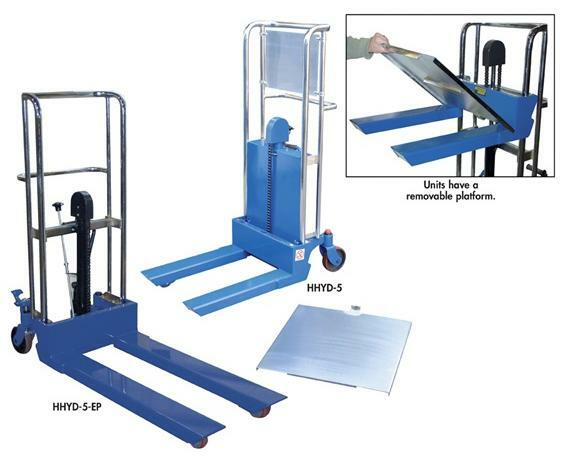 Manual hydraulic pump mechanism yields 3/4" of platform travel per stroke. Non-slip chain is used for accurate positioning. Units roll easily on 2 rigid, 2 swivel polyurethane casters and includes a foot operated brake for extra safety. All welded steel construction with chrome platform and uprights. Forks measure 4-3/8"W. x 2-1/2"H. -- fork length is same as platform length. Not for use with pallets. FOB Shipping Point.